Senior Islamic Jihad official does not rule out the possibility of war in Gaza and the northern front. Walid al-Katati, a member of the political bureau of the Islamic Jihad, on Saturday stressed the importance of unity in the confrontation against Israel in case of another war. 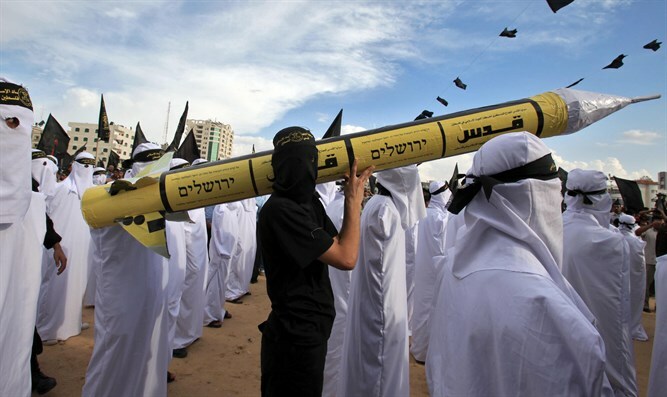 In an interview with the Felesteen al-Yawm website, which is affiliated with the Islamic Jihad, Katati said there is a possibility of war breaking out during the current year, and that it would likely occur on both the northern (Lebanon) and southern (Gaza) fronts. The next war with Israel is "certain", he claimed. Katati noted that the armed struggle is a central strategic tool, and it is possible that there will be a return to this path when the resistance organizations see an interest in this. He also said that the evolving military capabilities of the resistance organizations deter Israel from launching an offensive against Gaza, since the organizations can attack the Israeli home front. He praised Iran's support for the Palestinian resistance and for Islamic Jihad and noted that the relations between Iran and his group were firm. Ziad al-Nakhala, leader of the Islamic Jihad, recently visited Iran where he expressed his appreciation for Tehran's support for the Palestinians and their struggle. During the visit, Nakhala met with Iranian President Hassan Rouhani, who told him that “resistance and fighting the usurper Zionist regime” is the only way for Palestinians to gain their rights. The Islamic Jihad, much like Hamas, has enjoyed support from Iran. In 2016, Iran pledged to provide $70 million in annual assistance to the terror group's "jihad" against the State of Israel.